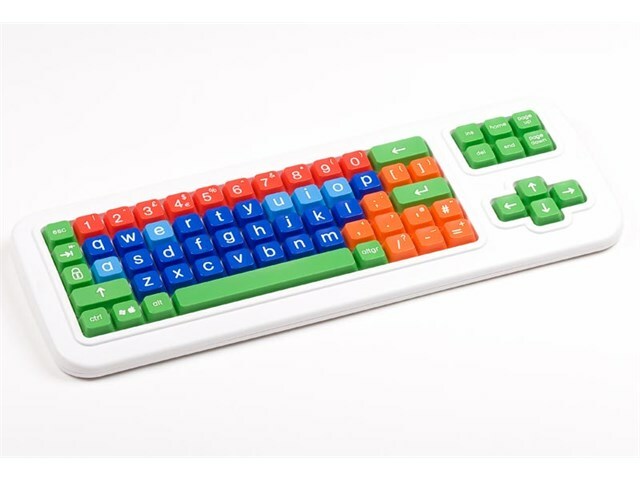 A robust Bluetooth keyboard with large keys and lowercase letters, perfect for the special needs classroom. The simple layout and colour coding makes it easy to find the large 2cm x 2cm keys: blue for letters (light blue for vowels), red for numbers, orange for punctuation and green for actions . Plastic keyguards are also available which clip firmly into place and are easily removed. Includes sticky keys features. Connects via Bluetooth to any Bluetooth enabled device such as an iPad, Tablet or PC.